At EPIIC's core is the year-long, multidisciplinary course on a global political theme. Undergraduate and graduate students of diverse nationalities, viewpoints, experiences, and interests, participate in this rigorous colloquium that stresses critical, analytical and normative thinking. Students are encouraged to confront the ambiguity and complexity of EPIIC's annual global theme through a multi-disciplinary examination of the issues and controversies that the topic reflects. They are taught the subject under investigation not only by a broad range of distinguished academics and practitioners, but also as active participants in defining the issues through classroom presentations and discussions, extensive readings, and independent research. There is an emphasis both on individual progress and on the collaborative effort -- in essence, an intellectual team. Students produce tangible outcomes to their studies through their individual research papers or projects, the international symposium, and the Inquiry simulation. 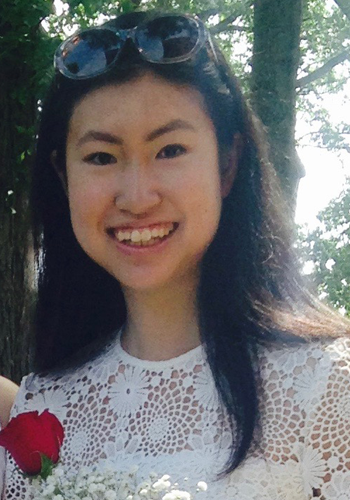 Atrey is a freshman at Tufts University interested in majoring in International Relations and Economics. He has always lived in India, and he speaks Hindi, Bengali and English fluently. Interested in the contradictions within the various approaches to liberalism and the role of International organizations in mediating conflicts with liberal values, Atrey seeks to broaden his understanding of concepts like just war, sovereignty and human rights. Furthermore, he seeks to understand the tensions between liberal and illiberal states and the interplay of globalization and economic freedom with it. 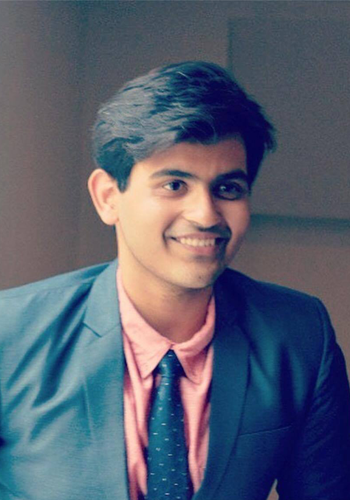 Atrey has worked with the Times of India and covered issues of human rights abuses in his hometown and feels really connected with the idea of “responsibility to protect”. Coming from a family which felt the horrors of partition in 1971, Atrey seeks to widen his interest in power-play and liberal values to understand the forces behind destruction and terror. Caroline Blanton is a first year student at Tufts from Washington, D.C. She is undecided, but is considering majoring in American Studies or International Relations, with a possible Music or Peace and Justice Studies minor. At Tufts, Caroline is a new member of Tufts’ oldest all-female a cappella group, the Jackson Jills. 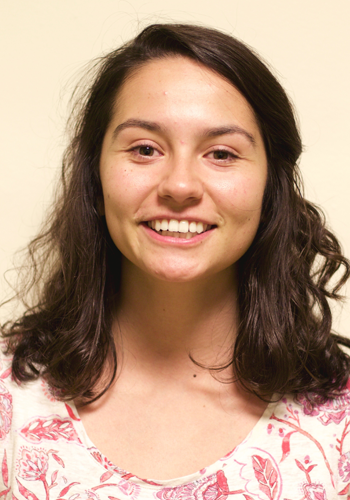 Caroline is also heavily involved in activism on campus and is a member of Tufts Democrats and Tufts Progressive Alliance. This summer, Caroline interned for Senator Kirsten Gillibrand (D-NY) and was completely fascinated by the workings of the democratic system. That experience, combined with her longtime interest in liberal philosophy and the academic study of neo-imperialism/colonialism, inspired her to take EPIIC this year. Outside of her life at Tufts, Caroline has a passion for travel and baking. A local from Massachusetts, Liam is a senior at Tufts double majoring in German Studies and International Relations. Having participated in the 2015-2016 EPIIC colloquium and symposium on the Future of Europe under the guidance of Sherman Teichman and having spent the 2016-2017 academic year studying at the Eberhard Karls Universität Tübingen in Baden-Württemberg, Germany, Liam is excited to be back at Tufts and to begin exploring this year’s new and relevant theme of the Liberal World Order and to learn from the expertise and knowledge of Abi Williams. Liam was a member of the Oslo Scholars Program during the summer of 2016, giving him the opportunity to intern with Healing Kashmir and be mentored by Justine Hardy in Jammu and Kashmir, India. His interests include peace and conflict studies, the politics of populism, as well as the nature and implications of liberalism on contemporary social dynamics and institutional structures. 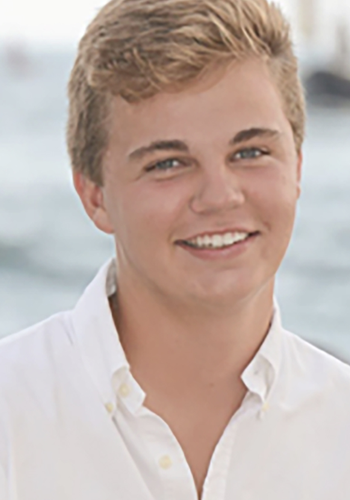 Brendan Foley is a freshman at Tufts University interested in pursuing a possible double major in the fields of Community Health and International Relations. Born outside of Boston, Brendan has lived in the suburbs of Massachusetts his entire life, spending his summers on Cape Cod. 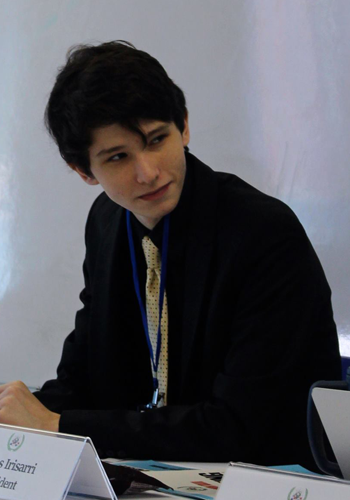 First drawn to International Relations after becoming involved in Model United Nations in high school, Brendan is eager to dive into the course material of EPIIC and meet real world experts that have experience in the fields of diplomacy and international policy. This semester, Brendan is excited to challenge himself with a diverse array of courses and is hoping to participate in extracurriculars like Tufts Community Union, club tennis, and Tufts Mountain Club. 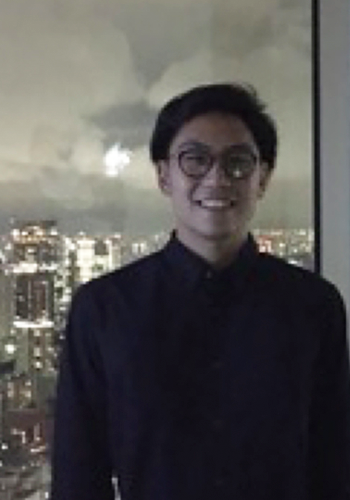 He looks forward to developing a deeper understanding about the underlying forces behind the current liberal world order while sharing valuable experiences with new classmates through EPIIC. Carlos Irisarri is a freshman in Tufts University. He recently graduated from the International School of Panama, where he spent most of his adolescent life. His mother is Panamanian, his father is French and he takes huge pride in being of both Latino descent and French descent. Carlos has always had a fascination for politics that stemmed from evening table side discussions with his father over dinner. His academic interests don't stop there as he is also fascinated by History and will most likely attempt to double major in the two subjects. In high school, Carlos was the president of his student council for two years, was very involved with Panama's MUN program and, strangely enough, also programmed and built all the lights for the sets of his high school plays. These are all activities Carlos wishes to pursue in college over the next four years. Carlos believes this year's EPIIC program asks a political question that can only be answered by analyzing the past to attempt to predict the future. This involves both topics that he finds absolutely fascinating and therefore, he is extremely excited to embark on this journey with his classmates. Matthew Jourlait is a freshman at Tufts University interested in double majoring in International Relations and Economics. Born a triple citizen, Matthew has French, American and Canadian roots. He speaks English, French and Spanish fluently. He is excited to participate in this year’s EPIIC class in order to further his understanding of the liberal underpinnings of the world order, as well as to learn about how to combat populism and the increasing importance and instability of weak states. Having travelled to over thirty countries and lived both in France and the United States, Matthew values the idea of an international community with shared values as well as a deep respect for cultural differences and practices. Matthew is also interested in the role of NGOs in peace building, having experienced firsthand the power of international aid through a Habitat for Humanity mission trip to Romania. Active in the Christian fellowship at Tufts, Matthew is committed to discovering ways to strengthen and build a more peaceful, liberal world order. Lorenzo is a senior majoring in International Relations and Spanish from Los Angeles. He spent part of the summer between 8th and 9th grade volunteering in Nicaragua. It was there that he decided that he wanted to learn more about the language, Latin America, and ultimately International Relations. Born to immigrants from Hong Kong, he is also interested in East Asian relations and security, particularly in the future of Sino-American relations. At Tufts, he is a member of the Swimming and Diving team. He was an Honorable-Mention All American last year and hopes to compete at the NCAA championships again. He is excited and honored to participate in this year’s EPIIC. Jiaxun is a junior from Hangzhou, China. She is pursuing a major in International Relations, with a concentration in Globalization. Besides her major, she also dabbles in economics, philosophy and food systems. Outside of the classroom, Jiaxun is a co-captain of Wuzee Chinese Dance Team. She also develops programming for Effective Altruism at Tufts and the Imaginet Marketing Club. She was a photographer for Tufts Dining and the Tufts Daily. In her leisure time, Jiaxun enjoys dancing, cooking, taking photos and watching “Game of Thrones”. Jiaxun is passionate about promoting cultural exchange and liberal arts education. She has operated a liberal arts summer program and is working at Tufts International Programs and Partnerships as a program assistant. In the future, she hopes to work at the intersection of International Relations, technology, and hopefully, food. Kai is a senior at Tufts University from Tokyo, Japan. 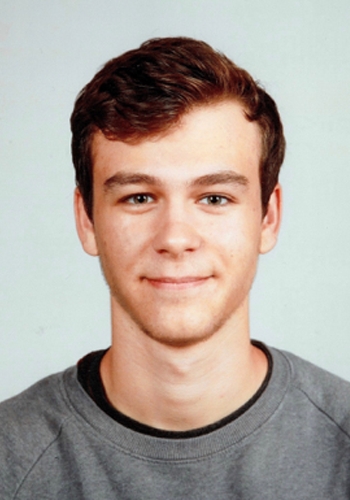 He is pursuing a double major in International Relations with a regional concentration in East Asia and in Russian and Eastern European Studies. Kai grew up in Japan, the United States, and the United Kingdom and speaks English, Japanese, and Russian. Upon arriving at Tufts, Kai decided to expand the scope of his already deep interest in the international relations of East Asia by studying the post-Soviet sphere and Russian language. 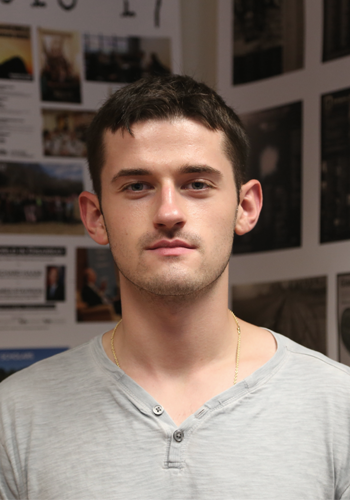 Since then, he has had the opportunity to pursue his dual interests through various internships, including at the Center for Strategic and International Studies (CSIS) in Washington, D.C. and at the Japanese National Diet in Tokyo, Japan, as well as study abroad experiences, including in Saint Petersburg, Russia and Tbilisi, Georgia. Kai hopes to move back to D.C. after graduation. From one end of the Eurasian continent to the other, Kai has witnessed and experienced the shifting role that the liberal world order plays in the 21st century, often leaving him with more questions than answers. Through EPIIC, he hopes to delve into the heart of where international society has been, where it is now, and where it might go in the future. 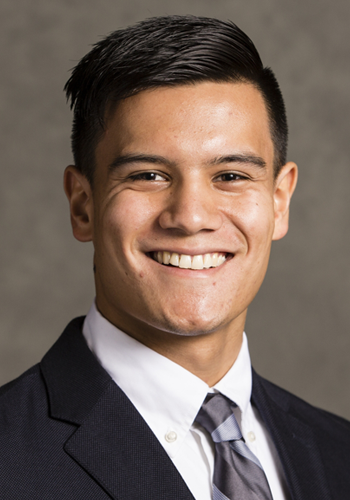 On campus, Kai is a member of the Tufts University Varsity Men’s Swim Team and Japanese Culture Club. Though heavily lacking in both musical and culinary talent, Kai enjoys listening to jazz and cooking. Jessie is a sophomore at Tufts University from Atlanta, Georgia. She is majoring in International Relations with a concentration on security and a minor in Sociology. Jessie has a passion for understanding multiple perspectives on both domestic and international issues relating to policy, economics, human rights, and other facets of our world order. She finds EPIIC to be an exciting opportunity to look at the complexity of our world through a multidimensional lens of individual study, collaborative work, and experimental practice. Jessie is interested in the future of the liberal world order and how, in this globalized world, we can continue to highlight the importance of individual rights and personal connection, especially in a time of instability and increased polarity. 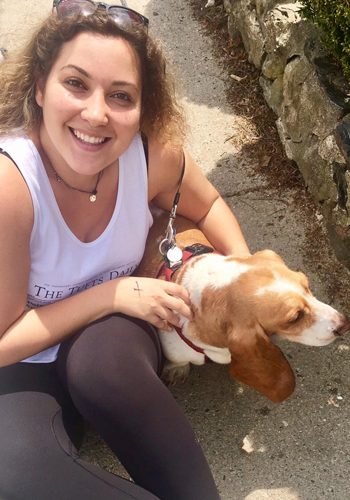 In addition, she is an editor for the features section of the Tufts Daily and has been involved in programs that teach high schoolers in the Boston Public School system and in Tufts Hillel. Haruka Noishiki was born and brought up in Japan except for three years of schooling in New Jersey as a Davis Scholar and a year living in California. 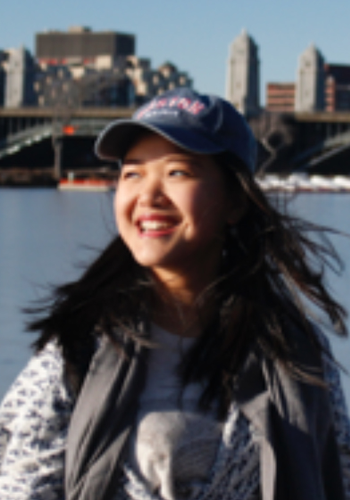 Haruka started her freshman year as an international relations major, hoping to focus on the concentration in international security, and possibly minor in cognitive science. She hopes to better her French and to study in a francophone country to experience a different perspective in exploring international relations. Through the EPIIC program, Haruka is looking forward to gaining a better understanding of how her home region, East Asia, could reach a level of better cooperation and what form, if any, of international institutions could encourage such developments. Before Tufts, she could be found running an international news organization, coordinating international, Asian and Japanese students' programming and participating in mock trial, among other activities. This past summer, Haruka enjoyed teaching English as well as mentoring high school students at summer camps in Japan, focusing on women's leadership and liberal arts education. At Tufts, she hopes to get involved with the Japanese Culture Club and International Club while working as Music Events Staff. 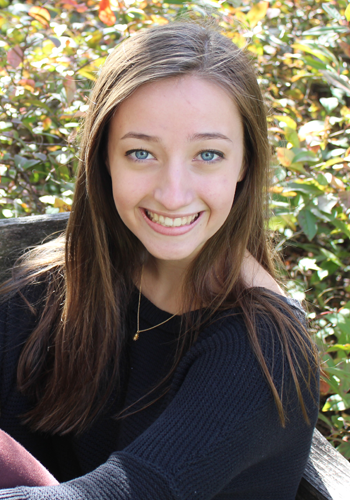 Hayley is a senior at Tufts University studying Philosophy and International Relations. Her concentration in Globalization represents not only a desire to understand the state of modern consciousness as expressed through the prevailing political and economic international structures, but also the fast-paced and multifaceted nature of her interests and personality. Hayley spent the first six months of the year in Dakar, Senegal, studying in French and learning the Wolof language. There, she spent time with a group of Senegalese women that traveled to villages around the country in an effort to promote the engagement of young women in politics. She also participated in a community circus in Dakar. Now back in Medford, she is excited by the opportunity to participate in EPIIC and the knowledge she is gaining about the current world order. At Tufts, you will find her trying to learn languages, eating new foods, rock climbing, and challenging the fear of the unknown. 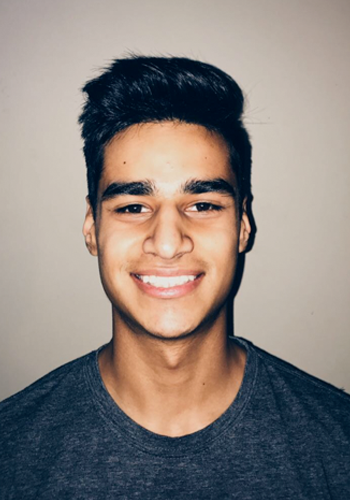 Uzair Sattar is a freshman at Tufts planning on majoring in International Relations with a concentration in the Middle East and South Asia. Born in Islamabad, Uzair lived in the UAE for seven years before returning back to Pakistan for his high school education. While in high school, Uzair captained the cricket team and actively took part in debating and Model UN’s. After graduation, he took a gap year to pursue his interests. He worked with a Microfinance Bank, witnessing firsthand the power of microfinance in the development of low-income states. He then worked at a corporate law firm based in Islamabad. During his time there, he went to see daily court proceedings in addition to conducting research for some of the most high-profile cases in the country. At Tufts, Uzair intends to take part in Mock Trial and Soccer.